My husband and I knew from the get-go that neither of our active and equally creative sons would have thrived in an overladen textbook environment. Nor would we have wanted them to. While investigating various homeschool philosophies, we hit on two which when combined would fit our family perfectly: Charlotte Mason and Unit Studies. Unbeknownst to us at the time, the combination of both would ultimately culminate in the advent of Once-a-Week Unit Studies. One of the first things that drew our attention to Charlotte Mason was what she referred to as living books, as opposed to dull textbooks that were in her words “twaddle.” We wanted to expose our children to beautiful books and quality literature and in the process begin to make learning come alive for them. To be able to tie literature to the creative, hands-on educational approach of unit studies would be for us a marriage made in Heaven! In our sons’ younger years we appreciated Charlotte Mason’s narration and copywork techniques. Using passages from classic literature to teach writing not only gave our boys a well-rounded education but taught them what great writing looked like and ultimately improved their writing. Great writers throughout history have used this same method. Benjamin Franklin and Jack London, author of White Fang and Call of the Wild, are two such men who learned to write by copying other great writers. As our sons grew and their writing improved we phased out copywork in favor of developing their writing as it pertained to our unit study topics. Poetry was another subject Charlotte Mason believed children should be exposed to and one which we also subscribe to. 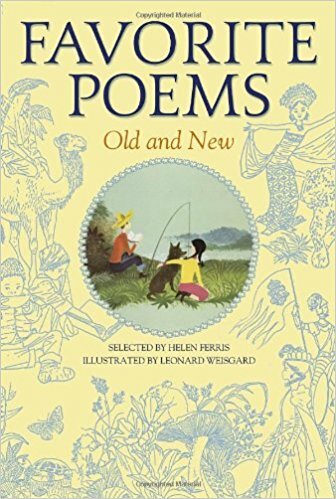 Favorite Poems Old and New, by Helen Ferris, was one of my go-to standbys for switching up language assignments to suit the seasons, holidays, and special occasion cards, as well as our unit studies. The fact that the Bible played an integral role in Charlotte Mason’s teaching style was paramount. Throughout the week, we read our Bible together. Often, the boys copied, memorized, and illustrated Scripture. But, on Wednesday, which was the day we chose to focus exclusively on our unit study, we read Scripture as it pertained to the study. 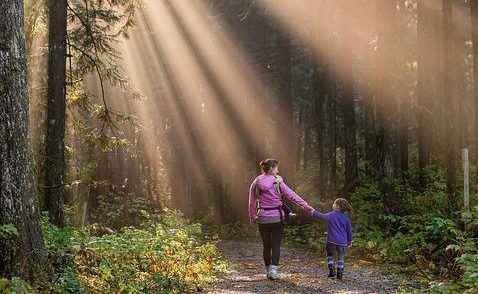 Charlotte Mason’s belief that children should be given time to explore God’s creation blended perfectly with unit studies too! While learning about Lewis & Clark, for example, they went outdoors to investigate various plant and animal species and record their observations in the journals they had made to resemble that of Meriwether Lewis’. Doing so would mean they were studying history, science, and art…all at the same time! Multitasking. Yes! Not one to dumb down education, Charlotte Mason was also a big proponent of introducing great artists and composers to children from an early age. This too was important to our family, so we proceeded to incorporate art and music into our unit studies. While learning about horses, for instance, we listened to Rossini’s William Tell Overture and identified the galloping of horses in his “Cavalry Charge.” Similarly, while doing a unit study on birds and looking through Birds of America, the kids noted Audubon’s keen attention to detail and tried to do the same as they sketched birds they observed on their homemade feeders. We were able to seamlessly weave arts & crafts, another of Mason’s favorites, into our unit studies which served as just one more reminder that the melding of these two unique homeschool philosophies was perfect for our family! Charlotte Mason also taught her students geography through the use of living books and map work which we were once again able to connect to…you guessed it…unit studies! It’s all starting to make sense now, isn’t it? And last, but not least, this ahead-of-her-times educator believed in cultivating good habits in children and providing an “atmosphere” for them to grow and thrive. For us, it was important that our children develop good character and a good work ethic. But, it was equally important that we provide them with a peaceful, loving, safe and Godly home, as well as a quality educational environment. By God’s grace and through combining the Charlotte Mason approach to education with the creativity of unit studies, we were able to do exactly that. This entry was posted in Homeschooling and tagged Charlotte Mason, homeschooling, unit studies. I was wondering if you are reading and working each day, what do you differently on “unit study” day? Is unit study day a supplement to your regular “book” learning? Thank you for your question, D. Boggs! You read books (independent reading and a family read-aloud) as they pertain to the unit study all week, but that is the only thing you do in regards to your unit study all week. The rest of the week you complete your remaining curriculum (for us that meant Bible, math, spelling, vocab, grammar, writing, as well as piano practice and extra-curricular activities). But, on unit study day we dropped everything except music and our unit study reading and connected Bible, writing, history, science, geography, arts & crafts, art and music appreciation, life skills, etc. to the unit study itself. Here’s a link to see how we scheduled our school week: http://homeschoollegacy.com//scheduling-your-unit-study/. You may also enjoy this article: http://homeschoollegacy.com//2017/05/25/whatisaunitstudy/. While our family enjoyed the once-a-week break from “school as usual” there are indeed some homeschool families who spread the unit study assignments throughout the week. Whatever works. It’s really up to you.